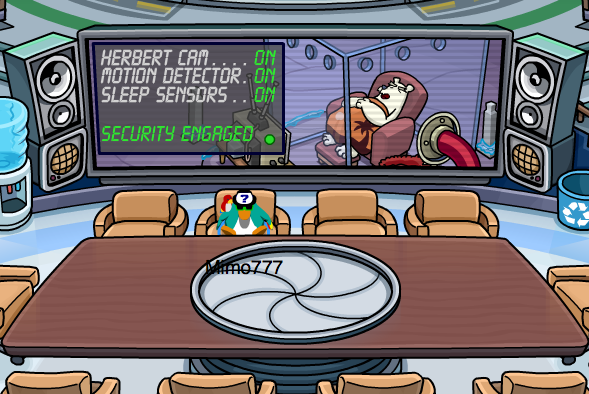 Club Penguin Cheats by Mimo777 Club Penguin Cheats by Mimo777: Club Penguin Security Camera Monitoring Herbert! Yep, Pooh Bear is still snoring! 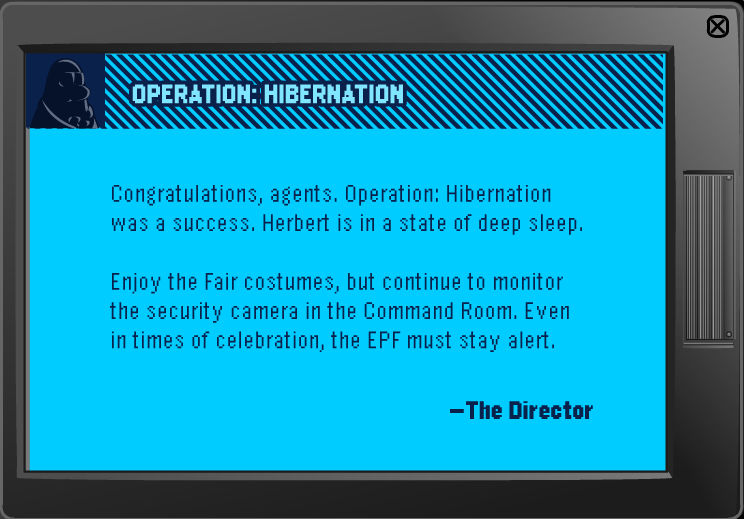 I hope he isn't disturb during my Fairly favorite party, don't you? Klutzy will probably snip the camera wires, and wake him up. I think something will happen that includes Herbert or Klutzy, or both, during The Fair. Operation Blackout? Klutzy escaped! He crawled through the fan in the mission!! code:FreeHood Hope Ya Like It Mimo! Go to unlock items online and type in the code FreeHood and you get a free hoodie. :) YAY! LoL, but Herbert is far more dangerous than Pooh! If you type FREEHOOD in the code box you get a free hoodie! Awesome!!! Go to unlock items and type in FreeHood for a free purple jacket and type in D23EXP11 for a free green jacket. This actually works, I'm not joking. Mimo, please give me credit. Maybe Klutzy will go to Club Penguin HQ and demand they make a plush toy of him! Seriously, I want a plush Klutzy so badly, he's so cute! They already make one! :-D He's adorable. Pooh bear Ha Ha!! by the way ninja43101 i agree with your theory. Wow, I didn't think of that! Operation: Blackout probably will continue. I mean, Klutzy escaped so he could do anything. I also think it might have something to do with that other crab shadow on the login page. I'm still unsure.